Students in Japanese 306 visited the Japanese Language School in Raleigh and worked with 10 middle school students. 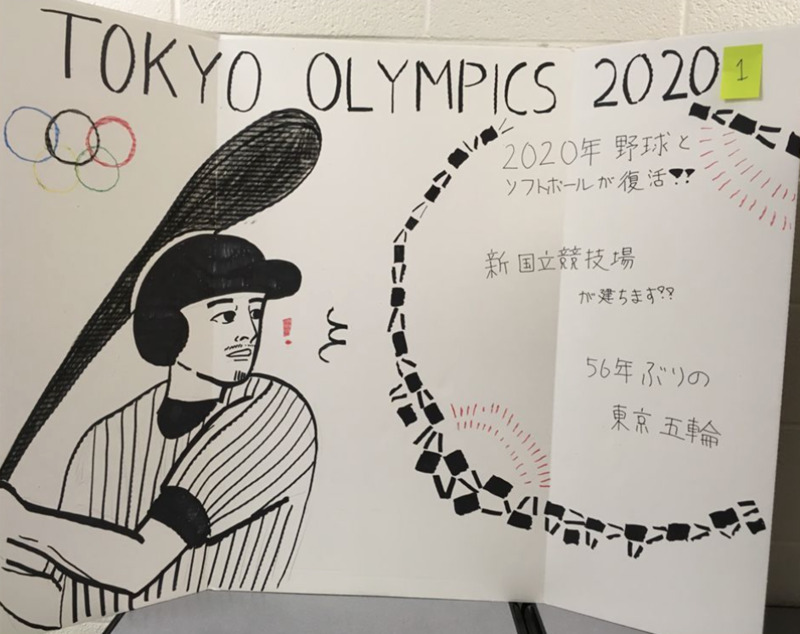 They discussed an essay about World War II, sponsored a poster contest about the 2020 Tokyo Olympics, and talked about being international and the prejudices they sometimes encounter as a result. They entered a speech contest, using their experiences at the Japanese School as their subject. The contest was judged by the president of the Japanese Association of the Triangle, among others, and was attended by members of the community and representatives from the Atlanta office of the Consulate-General of Japan.